Appearance: A dignified halfling with a stern and no-nonsense demeanor. Marks of army life still hang about her despite two decades away from the wall. 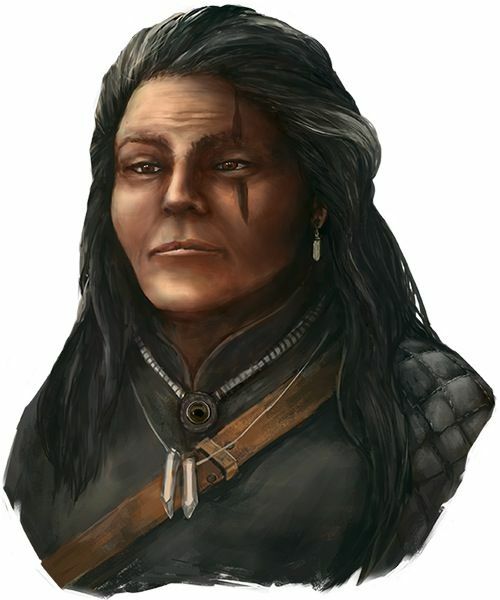 History: Abbie Silvergrass was a clerical soldier in the Brilight army for years, assigned to the wall and given the often thankless task of keeping new recruits alive when the point of a bandit's sword inevitably wound up in them. She was good at her work: patient with the young soldiers, motherly without losing her objectivity, and capable of performing the hard decisions of triage in times of crisis. What she was less good at was holding her tongue and temper. After saying exactly the wrong thing to exactly the wrong commanding officer, Abbie found herself on the receiving end of a court-martial. Though the tribunal found in her favor, she was given an honorable discharge from military service and recalled to the temple of Yondalla. The transition was a sharp and painful one for her at the time but now, twenty years later, she looks back with very few regrets and recognizes that her peaceful life at the temple is filled with equally important work as those exciting days on the wall in her youth. Sister Silvergrass is often called upon to work with the infertile women who seek solace in Yondalla's temple: the married women in their middle age who cannot conceive no matter what they try, and the widows seeking a remembrance of their lost loved one to raise in their memory. She has developed a good working relationship with Father Rik Templeborn, making sure the petitioners he works with understand the ritual process the goddess has put in place to serve her flock. Other Details: Abbie is not above seeking inter-faith cooperation between the temples when it serves the greater good.